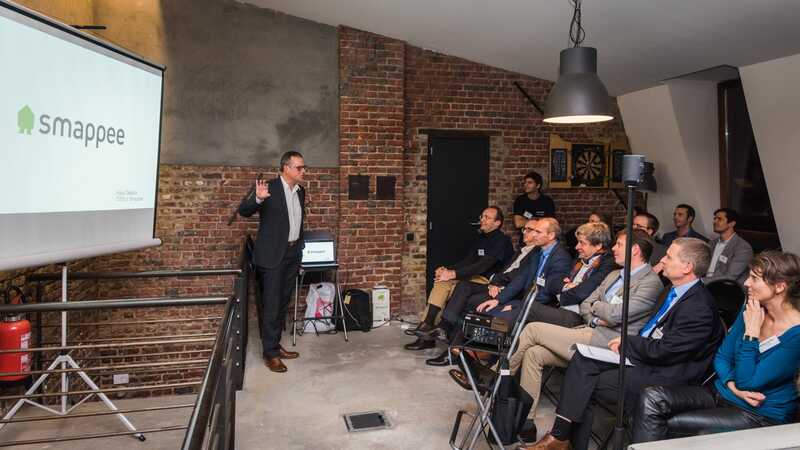 Together with Deloitte Belgium, we invited nine fellow Belgian scale-ups who had also taken part in Deloitte’s Innovation Centre Booster Programme to our offices. Each startup gave a short presentation sharing their personal stories of growing their companies. Although each individual business path was unique, throughout the evening it became clear that what united us was our shared passion for innovation. Teamleader incorporates CRM, project planning and invoicing into a simple and intelligent tool that helps businesses work smarter. Xpenditure offers business software that automates the complete expense management workflow. GuardSquare offers multiple layers of sophisticated protection for mobile applications. Nallian is a cloud-based data sharing platform that helps communities of business partners collaborate and operate as one. Sensolus offers industrial low-power solutions to manage, tracs and protect non-powered assets. 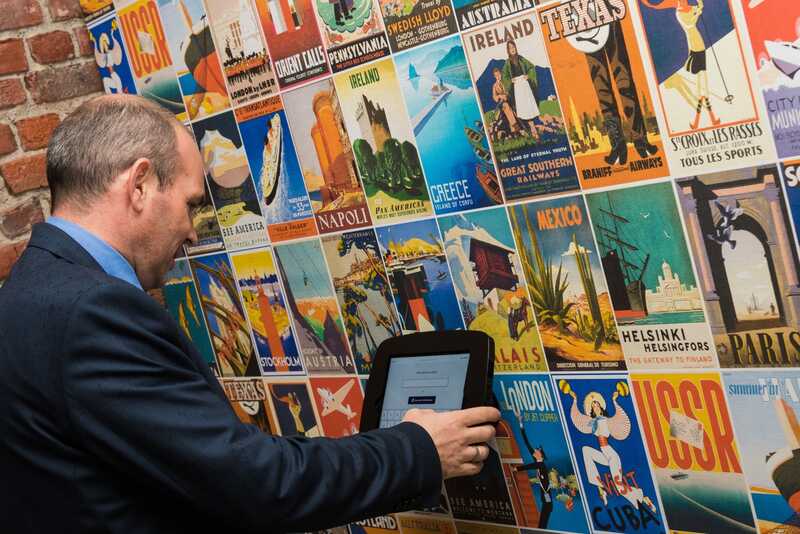 Proxyclick’s visitor management solution aims to transforms the way people are welcomed to offices around the world. Smappee’s main product is a Home Energy Monitor. By measuring and analyzing these data, the consumer gains insights that allow him or her to save energy and money. UgenTec offers software for automated PCR analysis. Domobios is a Belgian R&D company. It’s development and sale of ecological products is aimed at eradicating domestic pests such as mites, head lice, bedbugs and other pests. 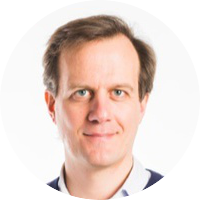 ONTOFORCE product is a semantic search platform that enables users to find relevant data faster and smarter. 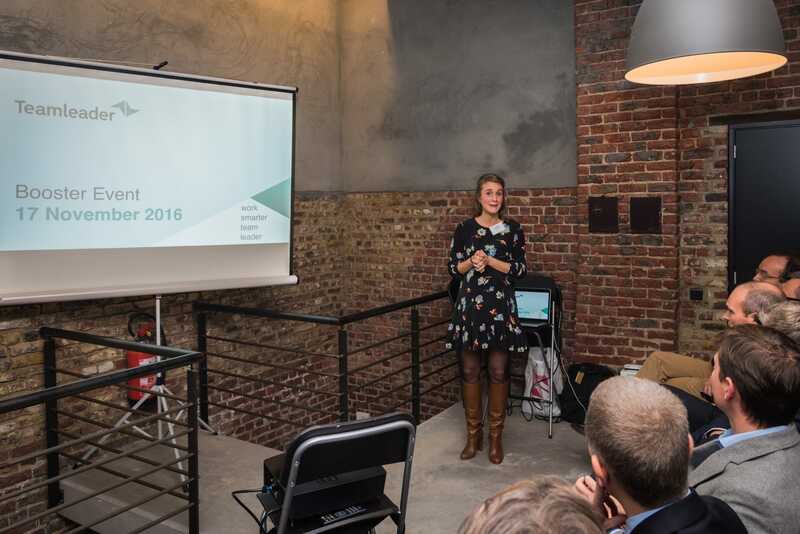 We would like to thank Deloitte Belgium and all the guest speakers for contributing to the success of the event. 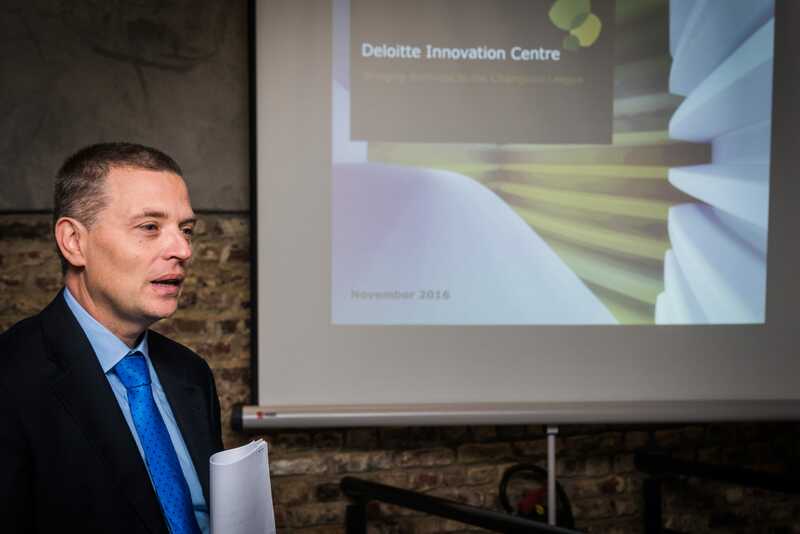 The Deloitte Innovation Booster Event kicked off our Proxyclick office warming party and led to the more informal part of the evening. We had over 100 guests come to the party and how did they check-in? Now, we can say using our own personal experience that Proxyclick is great at checking in event guests as well. Although we moved in months ago, we held the party in November to give ourselves some time to properly settle in our new offices. We could not have been happier to finally share the space we call home with our clients, partners and friends of Proxyclick. 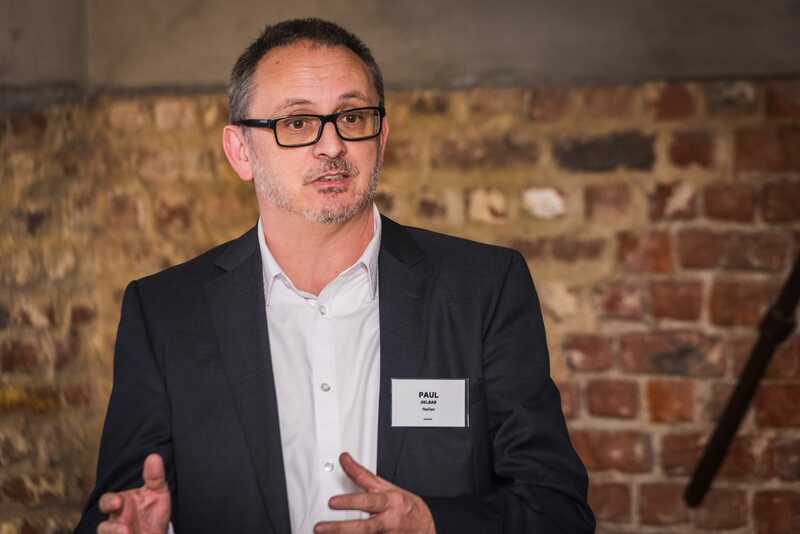 We had a few clients and partners that came from far afield, such as Costas Moraitis from the Greencore Group in the UK (see how they use Proxyclick in this case study) or Kev Jones from Intreba in the Netherlands. And we’d like to thank everyone for coming all this way to celebrate with us. Things have been good for Proxyclick, in the last year we doubled the number of our employees. Last but not least, last week we hit yet another milestone: we surpassed the number of five million visitors checking into offices around the world. This means: five million little moments of host and visitor connecting, across four continents in 35 countries and 18 languages all via Proxyclick. 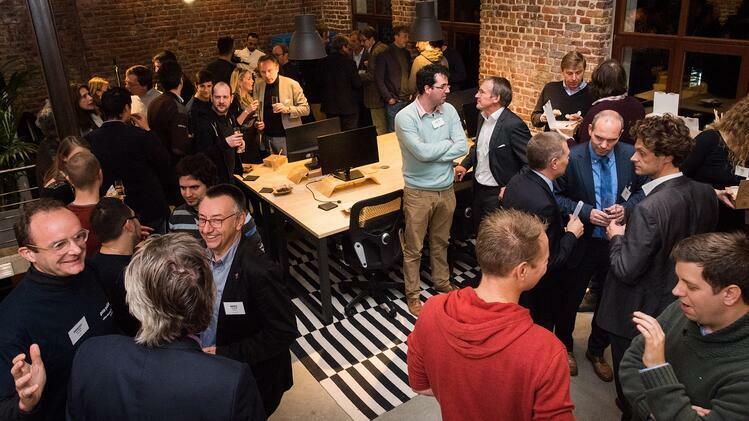 We were proud to share this news with our clients, partners and friends during the office warming party!